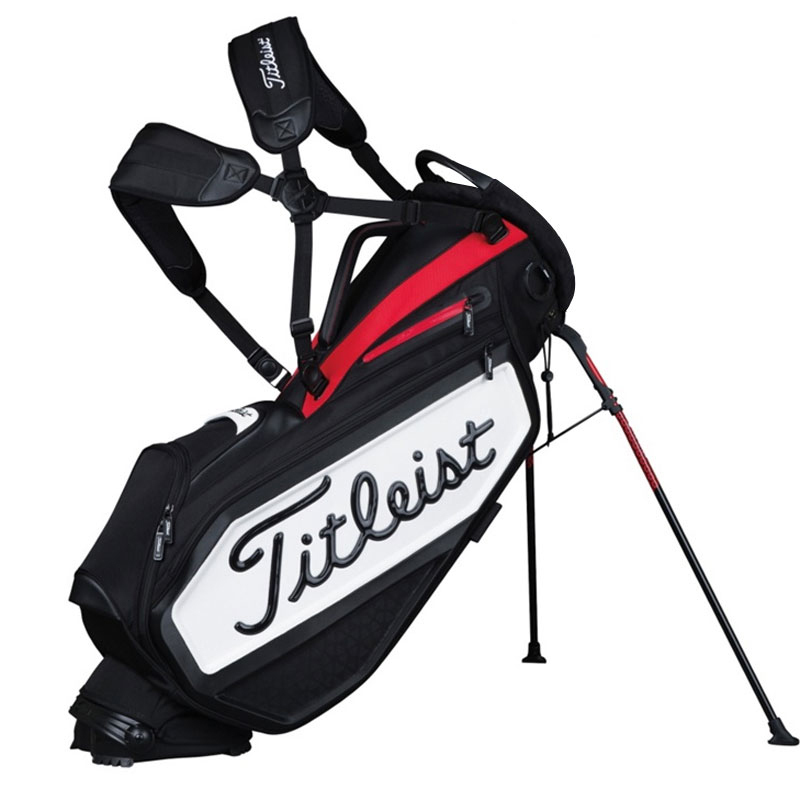 This stand bag from Titleist is perfect for the dedicated golfer who wants the performance and style of the staff bag with the versatility of a stand bag. 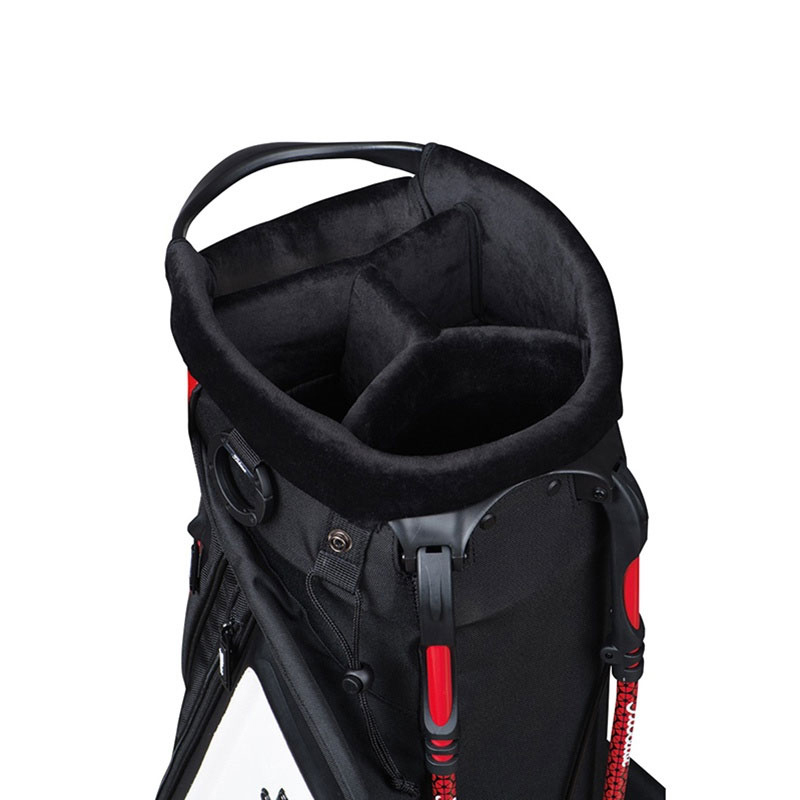 With a 5-way divider and 7 pockets you can organise all of your golf equipment and valuables. Pockets include a Tour-inspired magnetic accessories pocket for quick access, while it also benefits from a StaDry pocket that will protect your valuables from water damage. Thanks to the convertible strap system and high density foam shoulder straps, this bag is very comfortable to carry. A full contact hinge base ensures a solid stance when put down preventing the bag from falling over.